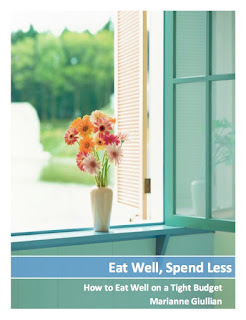 Spendwise Moms: Simple Savings: Use Free Food! Simple Savings: Use Free Food! Yesterday, we went on a walk and saw two apple tress that had a ton of apples. There were almost as many on the ground as there were in the trees, so I figured that nobody wanted them, and they also were clearly not on anyone's property. So, my son and I picked some apples to make apple sauce. The apples are very small and bitter, but after washing, cutting, cooking, and lots of sugar, they made a delicious and huge batch of applesauce. Using food from trees helps reduce waste (all of the apples I used won't end up on the ground), saves money (they were free), and is very satisfying. I should have pulled out my Canner...but didn't think about it until I realized I had a lot more applesauce than we could eat in a reasonable amount of time...so I put some in the freezer, and we'll be eating the rest of it over the next week or so.